I consider book jacket design one of the hardest disciplines in Graphic Design. Much of the essence of the book has to be illustrated on one visual, and the you aim to make the book “reads” from its cover. 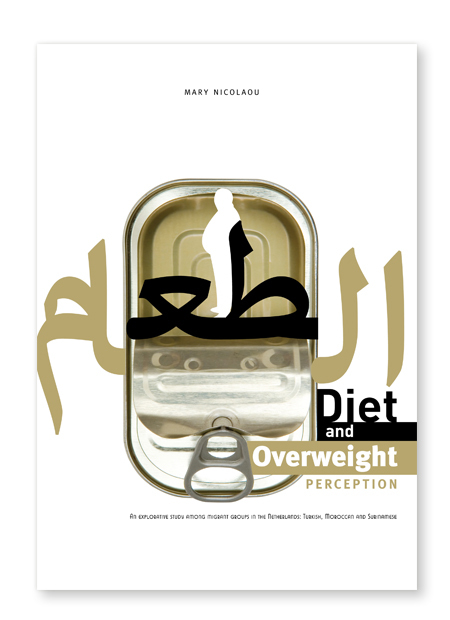 Just finished the challenging project of designing the book jacket for the “Diet and Overweight Perception” book, by Mary Nicolaou, an explorative study among migrant groups in the Netherlands in the Turkish, Moroccan and Surinamese communities. The final design of the book cover, mixing Arabic Typography with photography, is shown below.